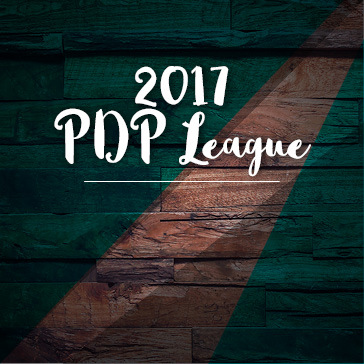 The PDP League is back. Compete against other PDP cardholders to determine who is the best of the best! Includes golf, prizes & dinner. League points are 5X weekly value. 16 week competitive 9-hole stroke play league. League play will be held every weekday after 1 pm. On-course contests will be held on Thursdays only. The cost to participate in the weekly competitions will be $17 to ride and $10 to walk. The league will include the use of GHIN handicaps. *Please note: League Administrators possess the right to intervene and make any adjustment to players’ handicap that they see fit. Each week will be worth 100 total points (per division). The point distribution will be based on a player's score and finish each week. The championship will be worth 500 total points (per division). In order to qualify for any Grand Prize, a player must play in at least eight (8) regular season competitions. 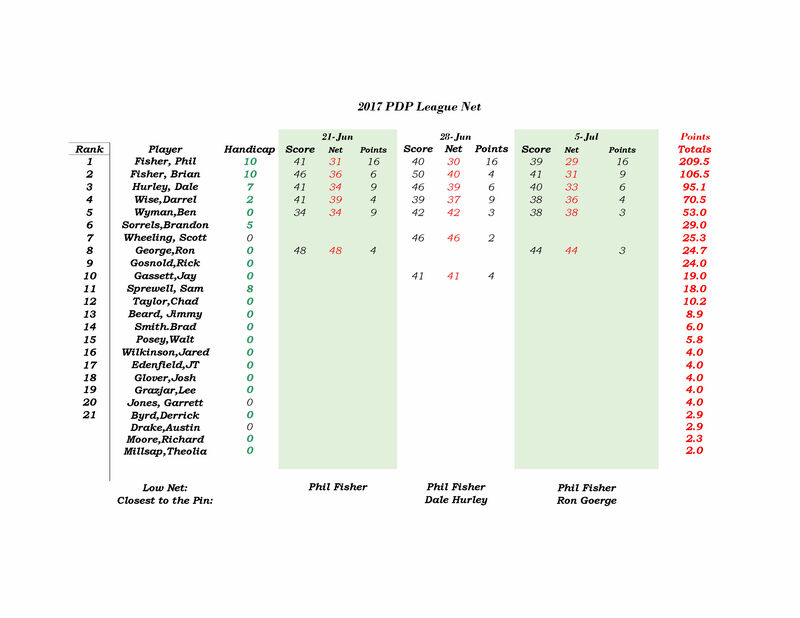 Handicaps will be re-evaluated on a the 1st of each month and will change based up updated indexes. Rankings will be determined based off of weekly net scores. All weekly ties will be broken via scorecard playoff. All season ties will be broken based on participation. Weekly Prizes will be handed out in the form of gift cards to the top gross and net, per division, players each week as well as closest to the pin winners. Players will earn points for Gross and Net Play. 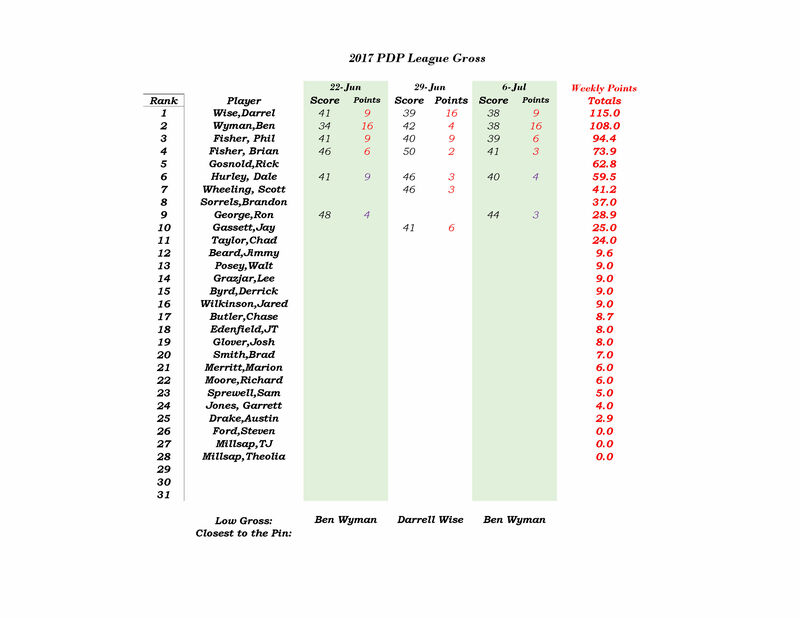 top three net finishers and top gross player per division (as of August 21). The top three (3) net players, for the season, will receive a grand prize after the championship. The top three (3) gross players, for the season, will receive a grand prize after the championship. Grand prizes may include merchandise (clubs, bags, balls, etc), gift cards or 12 months PDP privileges. *Please Note: All prizes will be based on participation and may vary from those above and on a weekly basis.